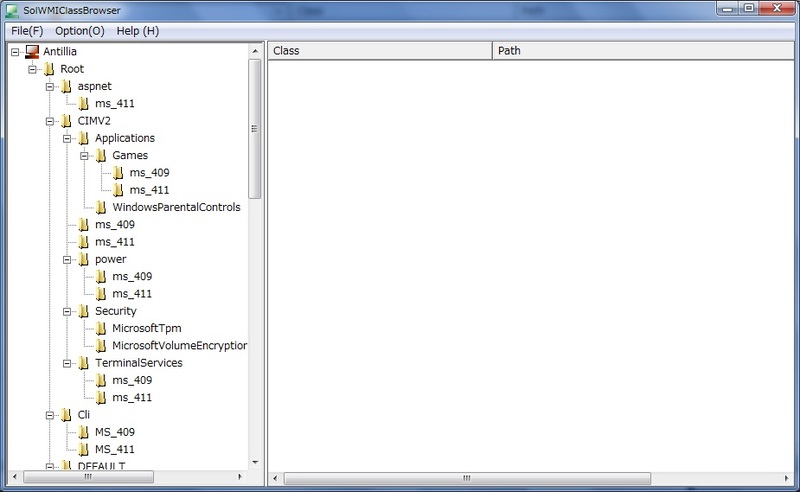 SolWMIClassBrowser is a Windows GUI tool to browse all WMI namespaces and WMI classes on a computer. See Figures 1 and 2. 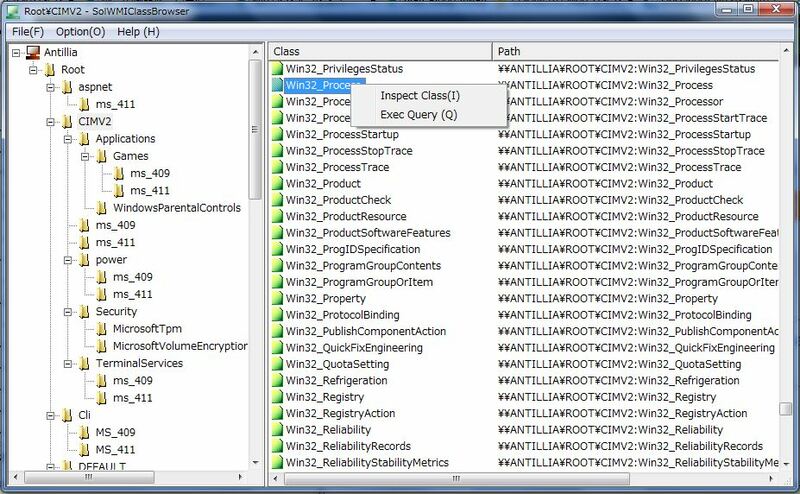 This tool can be used to inspect a WMI class and execute a WQL query for each class to get Windows System information. See Figures 4 and 5. 1. Run SolWMIClassBrowser program on your desktop, then a Windows window will be displayed. See Figure 1. It has a treeview in the left pane and a listview in the right pane. 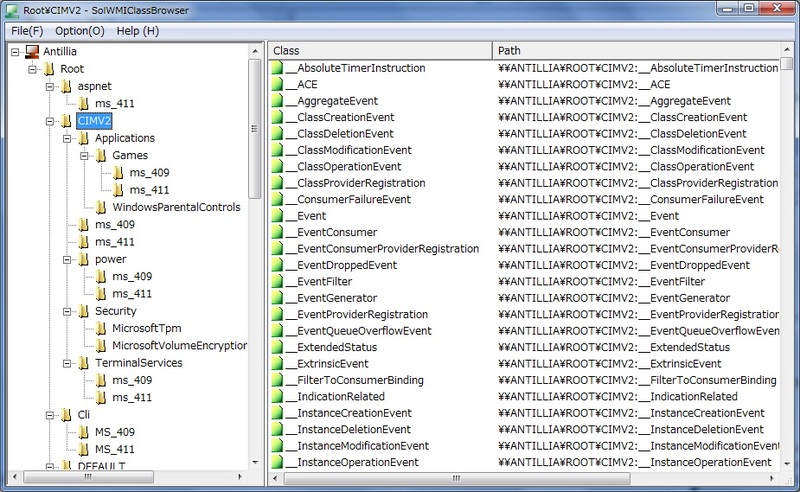 A tree of all WMI namespaces on the computer will be displayed in the left treeview. be displayed. See Figure 3. 4. 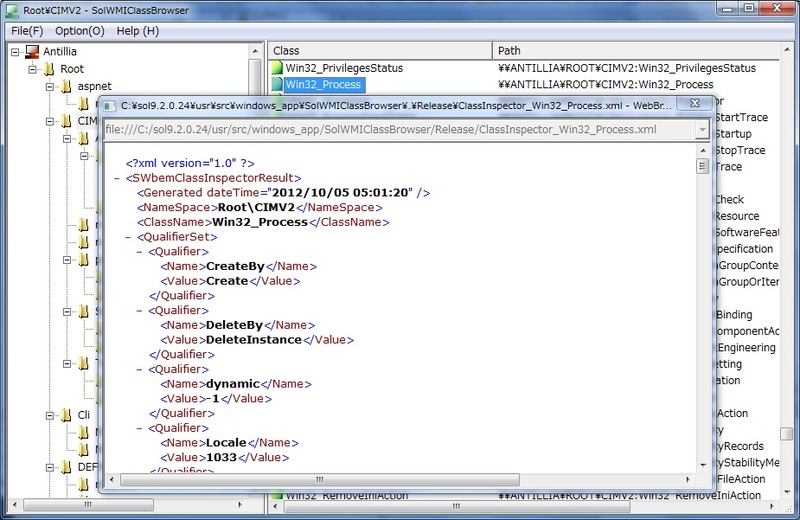 Select [Inspect Class] item in the menu, and a class informatiion will be displayed in an XML format. See Figure 4. 5. 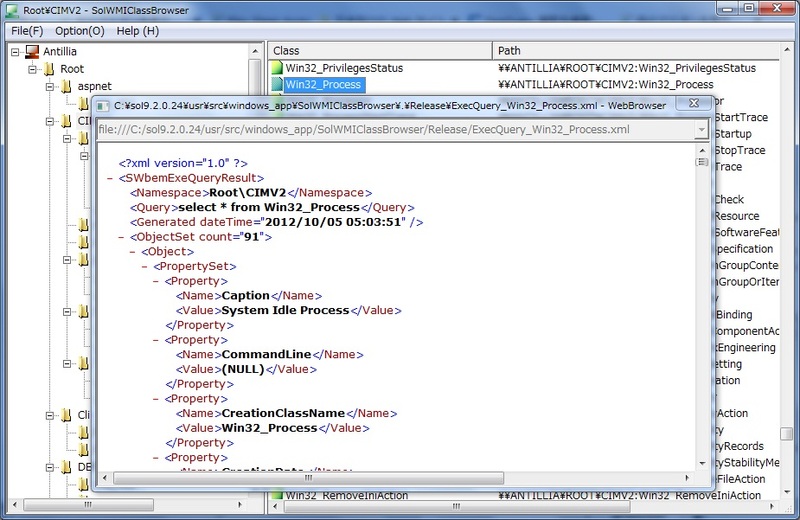 Select [Exec Query] item in the menu, and a query result will be displayed in an XML format. See Figure 5.